Again I had the opportunity to visit Jodhpur, Rajasthan the top tourist place in the world and also the best location for shooting bollywood and hollywood films. 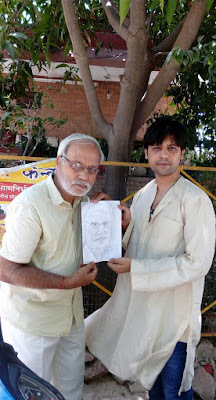 On this short trip to Jodhpur I gifted the original pencil drawing portrait of Shri Ajay Kumar to himself that I had drawn in 2014 using the reference picture I was provided with. 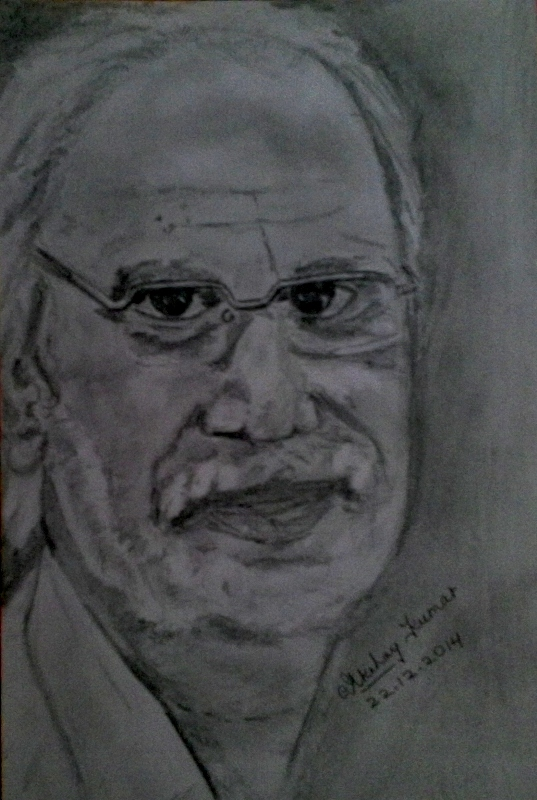 I was also asked by him to draw a portrait of someone very special to him. 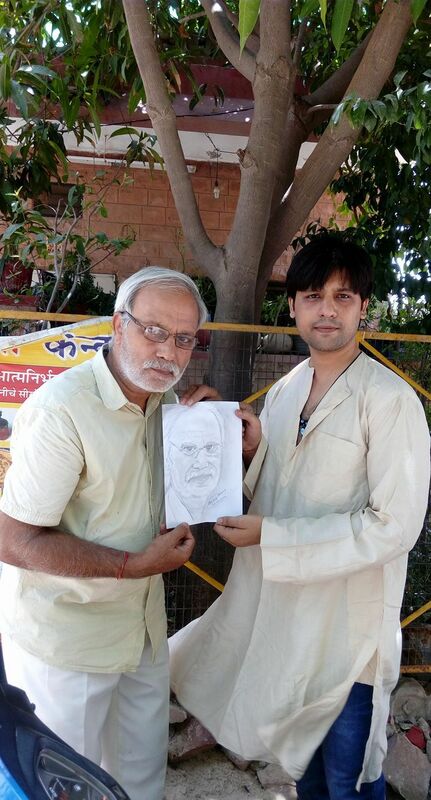 I will upload and share that drawing portrait also once its completed. Now let me tell you something about the making of this pencil sketch. Actually I had started drawing portaits in 2014 itself and I was not much aware of the type of papers and pencils artists use to draw. 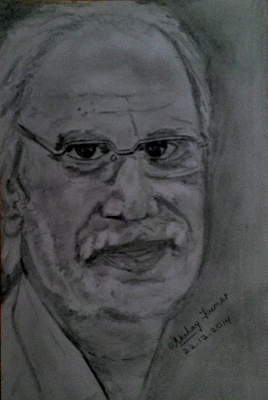 So, I took a white paper and an HB pencil and started drawing the face. But I was not able to draw the white beard and mustache. Why ? because I was searching for a white pencil to draw on a white paper. But I found a way. I shaded the whole paper including the face and external area and erased the area that required to be white. Funny ? it is.